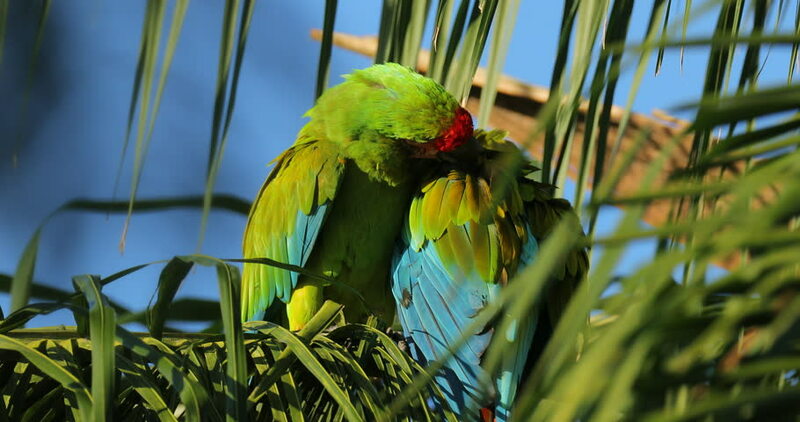 Parrot love on the palm tree, Two wild rare bird in the nature habitat, sitting on the branch in Costa Rica. Wildlife scene in tropic forest. Ara ambigua, Green parrot Great-Green Macaw on tree. 4k00:07Close-up, palm leaves on a hot summer day. hd00:10Slow zoom in to a large spider hiding under a jungle leaf. Taken in Thailand.